Leukonychia is a term for a colourless spot on the nails. These are also called milk spots. There can be a single spot or multiple ones. For some people, these spots may be small and indistinct. Yet for others, they may be larger and can spread to the entire nail. These spots are not generally very harmful to the body but they can be indicative of other things going on within your body. These spots can sometimes even mean fatal diseases. 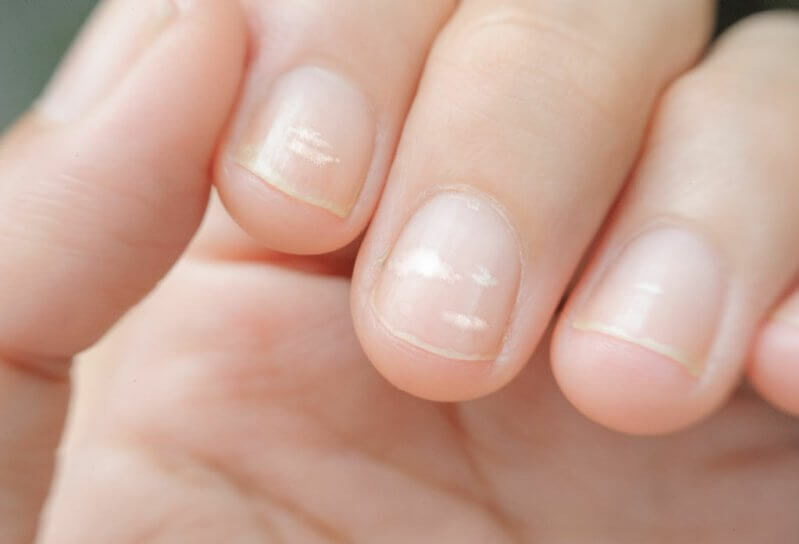 In this article,we will learn how to get rid of white spots on nails, its causes, symptoms, preventions and risks associated with it. What are the risks associated with White Spot on Nail? How long does it take for the spots to disappear? Are these spots caused by calcium deficiency? Is the white semicircle on your nail indicative of the same problem? Are the superstitions related to white spot on nails true? Can these white spots mean cancer? Can genetics be a driving factor for this anomaly? This problem is often caused by infections on the skin. Bacterial and fungal infections can be one of the major reasons for these spots. So, it is very essential to maintain hygiene and cleanliness. Wash your hand regularly; after coming home from outside, after using the washroom and after such activities. Moisturise your hand with a hand cream as well after washing. Use sanitizers when you do not have access to clean water. In this way, you can prevent these spots and also reduce them after they happen. Tea tree oil is one of the herbal oils, which is filled with medicinal properties. It has a very good fragrance as well as this oil can help with the nail problems. Apply 6 drops of this oil to your nails and massage it softly. Leave it overnight and wash it in the morning with lukewarm water. Repeat this process every day for 2-3 weeks. The spots will disappear quickly. Vicks Vapour rub is a very useful thing. It has a strong herbal smell and intense healing properties. Vicks can drive away cold and cough in a jiffy. Applying this to your nails can help this problem as well. Take some of the vapour rub and apply it onto your nails. Leave it on for 30 minutes and wash it off. Repeat this 2-4 times a day and leave it overnight. Practice this for 2 weeks. Hydrogen peroxide has anti-microbial properties that help to prevent and cure white spots on nails. As opposed to proper belief, it is non-toxic. It can be available easily in your nearest drugstore. Take three spoons to hydrogen peroxide and add two spoons of baking soda and two spoons of water to it. Mix till it becomes even. Dip your nails in that paste for 15 minutes. Then wash it with lukewarm water. Coconut oil is an ingredient which is very good for all your skin problems. It can also help your nails. It has antifungal and anti-inflammatory properties which can help the spots on your nails to recede. Apply a few drops of coconut oil on your nails and leave it overnight. Do this daily for a few weeks. Lemon juice is extremely rich in vitamin C. It can be extremely effective to get rid of these unwanted spots. It also makes your nails healthier and prevents discoloration. Cut a lemon and squeeze out its juice. Take two teaspoons of the juice and mix it with one tablespoon of olive oil. Apply this mixture to your nails and let it stay for 2-3 hours. Then wash it off with herbal soap. Practice this method for 2-3 weeks. Garlic is much more than a flavouring culinary agent. It has antifungal properties. It can act against the fungus which may have caused white spots. Mince a garlic pod into small pieces. Apply the mashed garlic onto your nails. Cover your nails with cloth and allow the garlic to act on your nails. After the paste is all dry remove the cloth and wash off the garlic with liquid water. Onion is also enriched with antifungal properties. It is rich in vitamins and minerals as well. It can help a great deal with the problems with your nails. Slice an onion and rub it on fingernails. Leave it on for a few hours. Then wash it off with herbal soap and lukewarm water. This is a magical ingredient. It can be useful for your hair problems, acne and other skin related problems. It can also assist with the white spot on your nails. Take a few table spoons of apple cider vinegar and add the same number of table spoons of water to it. Dab the mixture onto your nails using a cotton ball. Leave it on for several hours and then wash it off with lukewarm water. Orange is a fruit high in several vitamins and minerals. Besides that, it also has strong antifungal properties. It can drive away the white infected spots on your nails very quickly. Add 10 drops of orange oil to any other oil such as olive oil or coconut oil. Massage it onto the infected fingernails. Leave it overnight. Wash it off with mild soap. Baking soda has several properties. It can work as a disinfectant. It can act on the infections easily and treat them. Besides that, it is quite alkaline and hence it helps to prevent the growth of microbes as well. Take a cup of baking soda. Add apple cider vinegar/ water to it. Mix it well till it becomes a paste. Apply the paste onto your nails. Let your nails absorb the paste for 30 minutes. Then wash it off with lukewarm water and herbal soap. This oil has multiple medicinal properties. It is used against microbial infection, cold and cough and several other things. It is one of the best way to cure white spot on nails. Heat this oil to a lukewarm temperature. Add a few drops of this oil to a cotton ball and dab it on the white spots and over the nail bed. Then was it off after some time. Vitamin E helps to cure cardiovascular diseases. It increases your metabolism as well. Moreover, it can also help you cure this problem. Use a vitamin E cream on your fingernails and massage gently. You can also consume them in the form of pills that are easily available in drug stores. Vinegar has high cleaning properties. It has disinfectant properties. It can prevent infections and kill microbes as well. Add vinegar to water in half and half concentration. Heat it to a lukewarm temperature. Soak your fingers in the solution for 20 minutes. Then wash it off with lukewarm water. Keep your nails moisturised. Sometimes excessive dryness can also cause you to develop these problems on your nails. After washing your hands, do not forget to use a hand cream and moisturize your hands each time. As mentioned before, these spots can easily be caused by mineral or vitamin deficiency. Hence a proper diet is the simplest and the best way to get rid of these spots. A proper diet will not only ensure that the spots are gone. They will also push you towards a more sustainable and a healthier lifestyle. Eat fruit, vegetables and other items which are rich in vitamins and minerals. Cook your food in olive oil. Eat protein-rich foods. Yogurt is a boon for almost all skin problems and it enhances your skin. It can make your skin glow, drive away acne and pimples, remove tan and remove acne scars as well. Yogurt is very good for your hair as well. It is rich in protein and minerals. It has antimicrobial properties as well. Apply a thick layer of yogurt onto your fingernails and let it dry. Wash it off after it tries. Do this every day for a fortnight. This is another essential oil on the list. It is aromatic and it has almost magical healing properties. It has analgesic and antimicrobial properties as well. Lavender oil can help you treat infections and reduce the spots on your nails to a large extent. Add a few drops of lavender oil to carrier oil such as coconut oil/ olive oil. Massage it to your fingernails gently. Leave it on for as long as possible. Then wash it off with the herbal soap. It is the best option to use when your toe nails have developed these spots. If the cause of the spots is microbial infection, then wearing a closed shoe can further make the infection worse. It is a good measure to wear slippers in this case. It will help your infection to heal. Oftenly, nail cosmetics such as nail polish, gloss or extensions are used. If your skin is too sensitive, it may react to these things. Sometimes, if the reaction is too strong, it can result in an allergy. An allergic reaction can lead to white spots. Fungal infections on the surface of the skin are quite common. These fungi can spread to the nail bed and cause problems. Yet, initially, they only appear as small dots on the surface of the nails. In today’s hectic lifestyle, it may become very hard for you to maintain a proper diet. In such a situation, experiencing a deficiency in minerals is quite common. These mineral deficiencies can often leave spots on your nails. If you hit your hand or feet on an edge or with a sharp surface, it can leave a spot on your nail. These are not very long lasting. If you manicure or pedicure your nails too much, they can become brittle and can also develop white spots. It is not good for the health of your nails. Seems unlikely, but biting your nails can also be a cause for this. Your saliva is acidic and it can cause this problem in your nails. This is a skin condition in which your skin dries up and becomes scaly, itchy and patchy. This can affect your nails as well. White spot on nails in itself is a symptom for other syndromes and diseases. Yet, there might be a few symptoms to detect the arrival of these spots. Most of the times these spots will be harmless, yet sometimes they can also indicate a fatal disease. In these cases, consulting a doctor is necessary. There are quite a few risks associated with some of the major diseases mentioned below. Kidney diseases are not very uncommon. In a kidney or renal problem, nitrogen waste products build up in your body. This can be the cause of white spots on your nails. In this situation, it is imperative to consult a doctor. The spots that appear on the nails are not quite distinct in this case, yet you will experience a lot of symptoms alongside. Pneumonia is a serious health condition in which your lungs get an infection. It can be in one or both the lungs. The infection causes inflammation in the lungs and fills it with a fluid. Pneumonia can be accompanied with a lot of symptoms such as coughing, breathing problems, etc. Yet, it can also be seen in the form of unrelated symptoms such as white spots on the nails. This is a medical condition which is characterized by raised arsenic levels in your body. This condition is characterised by several symptoms such as abdominal pain, watery diarrhoea containing blood, etc. This can also have very simple symptoms. One of these symptoms can be white spot on nails. 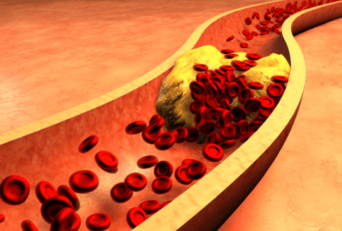 Though seemingly unrelated, heart disease can also cause this problem. White spots on nails may be hard to trace to heart diseases, but it will be accompanied by other symptoms. This is the best measure. This will make you healthy and prevent microbial action on your body. This is the best way to prevent most health problems. Include green leafy vegetables in your diet. Cut out food items that are too fatty or high in sugar. This will prevent most of such problems. Excessive use of nail cosmetics can cause a problem. Hence, you need to limit your usage of these artificial materials on your nails to maintain your health. Too much manicure or pedicure can make your nails brittle and prone to problems. Hence, keep such habits and choices in limits so as to maintain your health. You should wash your socks after every day. Your feet might get sweaty and it may attract microbes. This can cause white spot on your nails which is extremely bad to your health. Wash your socks each time you wear them. Wear a fresh pair of socks daily. Biting your nails can cause your nails to become brittle, cause white spots and give a bad odour. Hence it is essential to get rid of this habit as a preventive measure. The disappearance of the spots depends upon the cause. If it’s a nutrient deficiency it will depend upon how often those nutrients are consumed and replenished in the body. If the spots are caused by fungal infections, it may take months to recover depending on how long it takes the nail to grow out. Calcium deficiency can make your nails brittle. However, these white spots are not caused by calcium deficiency. It can be caused by vitamin or mineral deficiency. Yet all these nutrients are very essential for your diet. No, the light crescent on your hand is not because of the aforementioned problems. This semicircle merely indicates nail grow. However, the presence of the white spots can be indicative of health problems. There are some superstitions related to these white spots. These spots are said to be have some relation to divination and astrology. These white spots are said to be the signs of prosperity. Yet, this is not true because these spots have strictly scientific causes. Cancer can have several unrelated symptoms which you may not even be able to relate to the cause. White spots can also be a symptom. But this is a very rare situation. White spots do not necessarily mean cancer. Genetics work in strange ways. If people in your family have white spots on their nails, you can get them too. In this case, these spots are quite benign. They are not indicative of health problems if they are genetic. Maintaining a little bit of hygiene and a proper diet can prevent just about any problem. Yet, as humans we are prone to make mistakes. So we have some simple remedies here for you. It is very important to take care of your physical health. This will automatically lead to better mental health. Better mental health will help to perform better in every aspect of life. Though, these spots on your nail may seem very trivial, you need to adhere to them. Understand your body’s needs and act on them!